Discussion in 'Android News' started by DroidModderX, Feb 26, 2017. 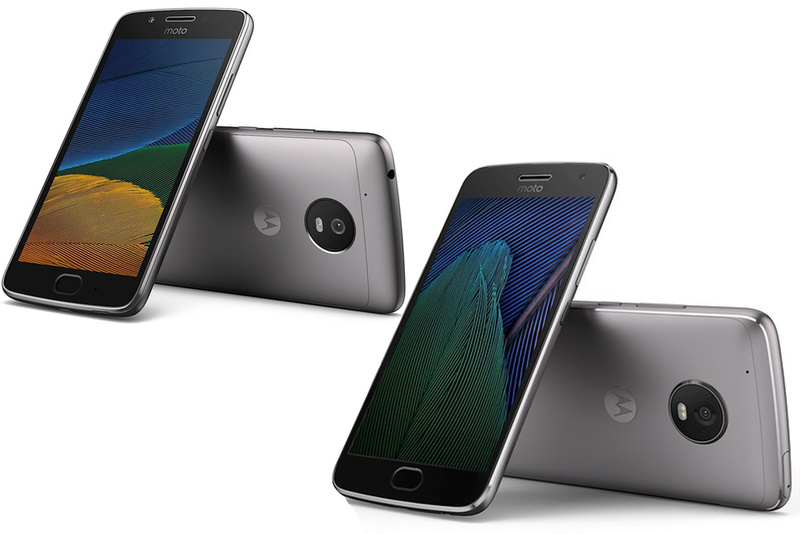 The next generation of the Moto G series is here. The new G5 and G5 plus feature an all new metal design making this generation look and feel more premium then the plastic builds of previous models. Each device will launch with Android 7.0 Nougat. Specs for the G5 includes a 5" LCD 1080p display, Snapdragon 430 CPU, 2gb/3gb of RAM, 13MP camera, 2,800mah battery, and a water repellent coating. The G5 Plus features a 5.2" LCD 1080p display, snapdragon 625 CPU, 2gb/3gb/4gb of RAM, 12MP camera with larger 1.4micron pixels, 3,000mah battery, and water repellent coating. Even with the premium build upgrade the G5 will sell for 199 Euros, and will be available in the US for just $229. Wow, how IMO a .2" larger screen shouldn't count as a + option. For this phone the + isn't so much about the extra screen size. The plus model has more RAM, bigger battery and a different CPU. If this thing is even slightly better than the G4+ it's a steal at $229. Why Motorola ditched the M dimple on their phones is beyond me. Their design language was so different, it's a shame they didn't continue with it, and moved the fingerprint reader to the dimple. Moto X and Nexus 6, shall live on with me. fingerprint reader on the front is much more useful on the front then on the back. When I put my hand in the pocket where my phone is the dimple is instinctual. My index finger goes straight there to balance the phone in my hand. A fingerprint reader in the front means that I have to reposition my hand to hit the reader. In my example, the fingerprint reader would do well to be placed in the dimple. The G4 Plus is the first phone my daughter has owned that she has not complained about and asked for an iPhone instead. Great phones for the price.